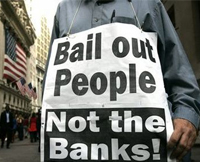 Chargeoff.com pioneered the Consumer Bailout Program, a financial debt settlement program which was not available to the general public in the past. We are affiliated with the largest debt settlement company in the U.S. with millions of dollars in debt settled every month. We work to get you an average of at least a 42% reduction on all of your unsecured debt, such as credit cards, medical bills, personal loans any debt that is not secured by collateral. You can be debt free in as little as 1 to 4 years depending on the payment plan you choose and you will pay back less than half of what your current balances are, many times even less. There are no upfront fees to you, and as soon as we qualify you for this program, an escrow account is set up within 24 hours in your name, into which you will make a lower monthly payment, usually half of what you are currently paying. Your creditors will be notified and from that point on, we will work on settling your debts one at a time. Our credit counselors will be there for you until every one of your debts has been settled, and you are debt free. Don't put it off any longer, get the bailout you deserve before it's too late!